I wrote a post but something happened and it just disappeared. I have no idea where it went and, of course, I can’t remember all that I wrote. So I am just going to put up the pictures I took out my window today and maybe another day I will write about whatever it was that I lost. It is not easy getting old…lol. Enjoy your day as Teli (The Dominican Dog) and I will be enjoying ours. The above picture has the Caribbean Sea circled. It is the same color gray as the sky. It is difficult to distinguish where one ends and the other begins. This is the view out my Colonial Zone balcony window to the right. 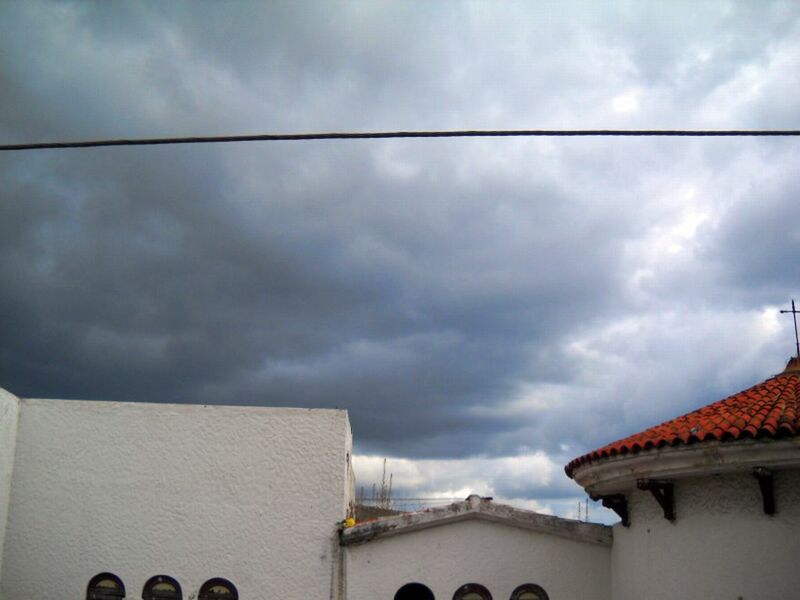 I love the sky with its evil looking clouds. I put some arrows to point out the points of interest. 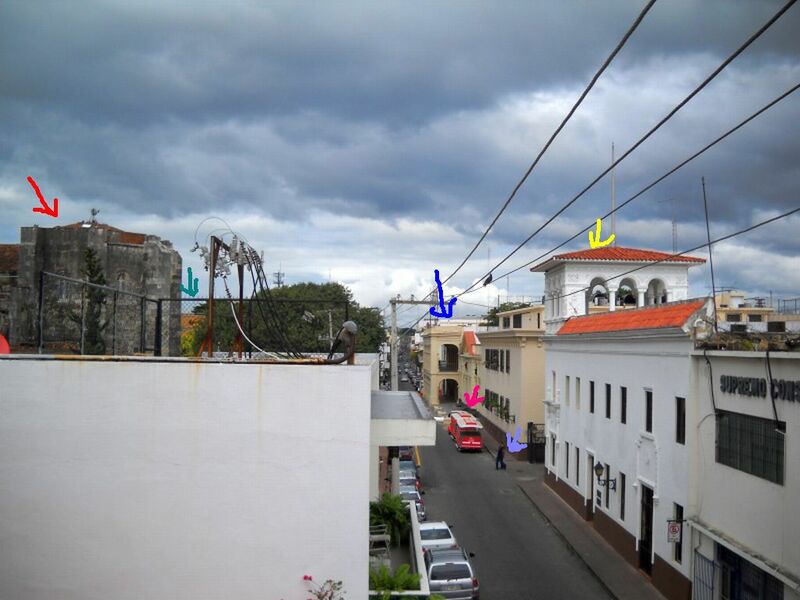 This is the view out my Zona Colonial balcony window to the left. I hope the pointers pointing the points make their point. Ok, I am being just plain silly but I hope I made my point. Anyhow, here is a little picture tour or my window view. Red arrow – The oldest cathedral in the Americas, The Cathedral de Santa Maria. Teal arrow – The Hard Rock Cafe sign. Blue arrow – The Palacio de Borgellá. Pink arrow – ChuChu Colons Coke-a-Cola train. Purple arrow – A human watchman. Yellow arrow – La Casa del Sacramento. The place where the Archbishop of the Dominican Republic hangs out. This is the view out my balcony window straight ahead. 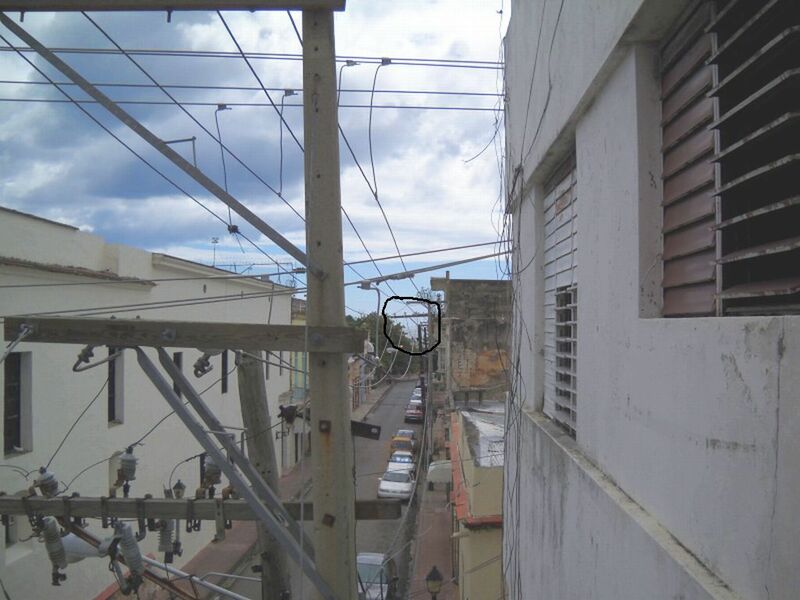 Just a Story balcony, caribbean sea, Colonial Zone, hazy, picture, pictures, sky, tour, Zona Colonial. permalink.